Have you seen Woody Allen’s Midnight in Paris yet? If not, get seeing! It’s an awesome film – here are five things that it highlighted for me. Following on from the previous point, although we should accept the present, there’s no reason not to embrace the beauty of past. I love 1950s-style dresses and music from the 1920s – 80s. Many people buy items from vintage shops because they remind them of their grandparents’ homes, or simply because they’re unique items. Reproductions of paintings by artists from all eras adorn the walls of millions of people around the world. Mouth-watering recipes are passed on from generation to generation. These things make us happy! Keep them going! 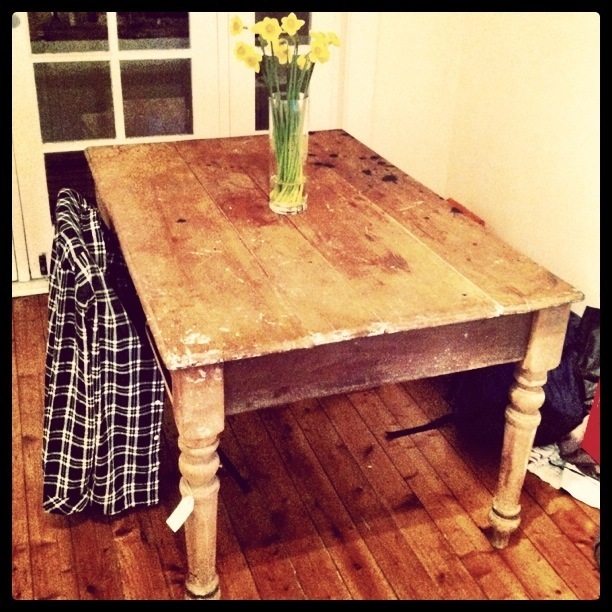 My vintage cedar dining table – plenty of character and it came in one piece! In 1920s Paris, Owen Wilson’s character encounters Ernest Hemingway, F. Scott Fitzgerald and T. S. Eliot – writers whose works have inspired so many people. When we were young we read stories about caterpillars and wild beings that come out of the wallpaper. We moved on to drama, mystery and romance followed by stories of war, philosophy and history. Although the way sentences and words are put together may change over the years, the messages from good books continue to entertain, touch and inspire us. If reading has fallen off the radar for you, chip away at some of the titles on this list. Paris is my favourite city in the world. I’ve been three times and the last time was for an entire month. 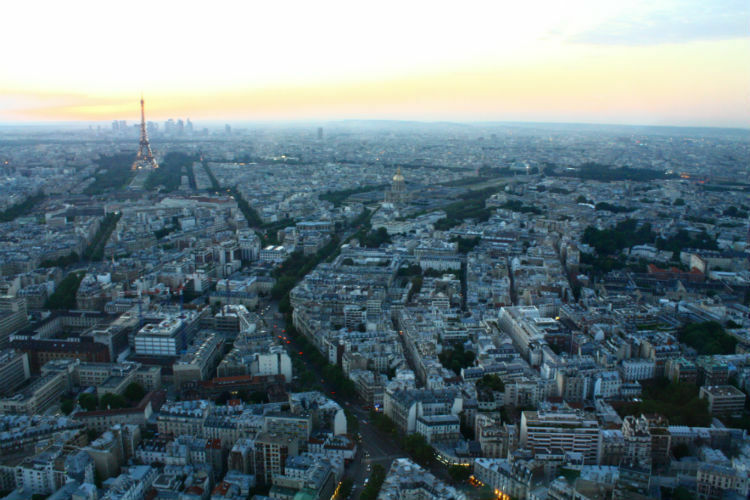 Of course, before I went the first time I didn’t know how much I’d love it, but there was a little voice inside me that urged me, “Go, Solange, go to Paris.” Maybe it was my love for the French language? For croissants and pain au chocolat? For some people it’s the spirituality in India. For others, the creativity in New York. Find the place that does it for you – there’s nothing like strolling down a street in a city that awakens every single one of your senses.